KoffeeWare unveils a preview version of future KoffeePhoto mobile photo sharing. KoffeePhoto mobile photo sharing allows KoffeePhoto users to access and share photo albums on their mobile phone. Storage is free and unlimited thanks to KoffeePhoto's unique private distributed storage technology. 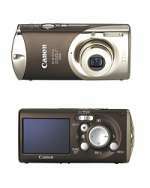 Available in four new colours, the 7.1 Megapixel Digital IXUS i7 zoom incorporates a 2.4x optical zoom and Canon’s new DIGIC III processor . In addition to rapid performance and improved image rendering, DIGIC III significantly reduces noise at speeds up to ISO 1600. 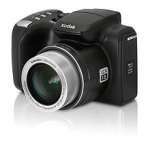 The processor also brings Canon's Face Detection AF/AE1 system to the Digital IXUS i7 zoom. This new technology automatically detects the faces of up to nine subjects within a frame and intelligently tailors focus and exposure to optimize the result, making it perfect for use at parties and other social situations. A new addition to the line-up of PowerShot A-Series digital cameras, the PowerShot A700 model features six-megapixel resolution together with a retractable 6x 35-210mm optical zoom lens (35mm equivalent). The A700 model incorporates 22 shooting modes from fully automatic to fully manual to achieve optimum results for any photographic application. The new camera is also compatible with optional wide angle and telephoto lens converters, as well as a close-up lens and a wireless flash unit. The PowerShot A710 IS’s optical IS has been specifically engineered for this compact format using the expertise Canon has gained since introducing the technology to its professional range of EF lenses. IS counteracts camera shake to reduce blur, enabling photographers to shoot at shutter speeds up to 3 stops slower. 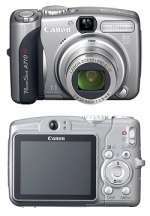 It also allows for steadier shots at full zoom and when using the camera’s 1cm Macro mode. The digital IS control chip processes up to 4000 signals per second, driving precise shifts of the lens element to compensate for any unwanted hand movements. The PowerShot A710 IS’s ISO 800 and High ISO Auto mode complement the optical IS by enabling high standards of flash-free shooting in low light or indoor environments. The Nikon CoolPix family of digital cameras is pleased to announce the addition of three new cameras in its L, or Life, series. The Nikon CoolPix L2, L3 and L4 combine high-quality design and construction with easy to use features available at affordable prices. All three cameras boast a sharp 3x optical Zoom-Nikkor lens, a big, bright 2.0-inch LCD and lightweight, compact body style (slimmest in it’s class with AA-type batteries) while offering high resolution of 6.0 effective megapixels for the CoolPix L2, 5.1 effective megapixels for the CoolPix L3 and 4.0 effective megapixels for the CoolPix L4. SanDisk Corporation today introduced an 8-gigabyte SD High Capacity card - the highest capacity now available in the SD format. The new card, which SanDisk is showing in Hall 23, Stand B28, at the CeBIT show here, holds more than 4,000 high-resolution pictures, as many as 2,000 digital songs or up to 15 hours of MPEG 4 video. Sony is advancing wireless digital photo sharing with today's introduction of the 6-megapixel Cyber-shot DSC-G1 digital camera. 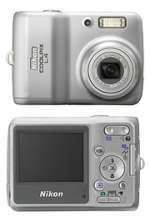 The G1 model is Sony's first digital camera with the ability to send photos wirelessly to other Digital Living Network Alliance (DLNA) - enabled devices, such as another camera or a PC. 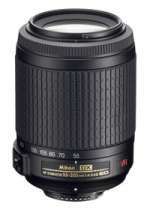 Nikon today introduced the new 55-200mm f/4-5.6G IF-ED AF-S DX VR Zoom-Nikkor lens – a new compact telephoto zoom Nikkor lens that offers Nikon’s exclusive Vibration Reduction technology in a high-powered 3.6x zoom lens. Engineered exclusively for use with Nikon’s DX format digital SLR cameras, including the D80, D40 and recently announced D40x, this new lens approximates the picture angle characteristics of an 82.5-300mm lens on a 35mm film SLR camera. It incorporates many of Nikon’s most advanced lens design attributes such as Extra Low Dispersion (ED) glass, Silent Wave Motor technology (SWM) and Vibration Reduction (VR), delivering outstanding optical performance at a remarkably affordable price. Nikon today introduced the new D40x digital SLR camera that is designed to allow users take spectacular photographs with very high-resolution at the touch of a button. The D40x maintains the same compact size, portability and ease-of-use as its already successful sister camera, the D40, and adds features like higher 10.2 megapixel resolution, faster continuous shooting capability and wider ISO sensitivity. Because of its high quality and the immense availability of accessories, SLR photography enjoys high popularity all-round and is the number one choice of pros. With the Olympus E-500, creative digital SLR photography is within the grasp of just about everyone – and also beats the problem of dust. 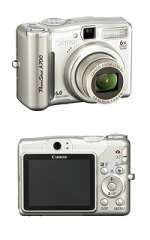 The Olympus E-500 boasts an 8.0 million pixel Full Frame Transfer CCD. Together with the TruePic TURBO image processor this ensures highest-quality photos with astoundingly rich definition, colour and contrast. The APO 200-500mm F2.8 EX DG is the world’s first Ultra-Telephoto Zoom Lens that offers a fast aperture of F2.8 at 500mm focal length. 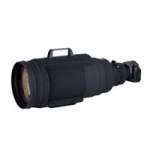 It covers the widely used 200 to 500mm focal length range, and maintains its fast F2.8 aperture over the entire zoom range. Four SLD (Special Low Dispersion) glass elements provide excellent correction for all types of aberrations and produce a high level of optical performance throughout the entire zoom range. Eastman Kodak Company today announced the latest additions to its award-winning line of consumer digital cameras, including the Kodak EasyShare Z712 IS and Z885 Zoom Digital Cameras, with high ISO and image stabilization for taking great action pictures in any lighting conditions. 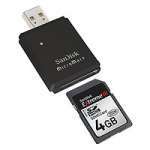 Ready for the newest digital still cameras and camcorders, SanDisk Corporation today expanded its award-winning SanDisk Extreme III pro line with a 4-Gigabyte (GB) SDHC (SD High Capacity) Class 6 memory card and a 4-Gigabyte Memory Stick PRO Duo card. As an added bonus, the SDHC card will be packaged with a SanDisk MicroMate USB 2.0 Reader a $20 value so that users have a one-stop solution for capturing, storing and transferring their images. 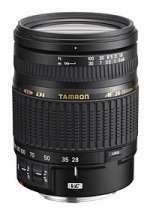 Mr. Morio Ono, President of Tamron Co., Ltd., has announced the successful development of the AF28-300mm F/3.5-6.3 XR Di VC LD Aspherical (IF) MACRO zoom lens, a high power zoom lens designed for SLR cameras with full-size format(Model A20), now equipped with a Vibration Compensation (VC) mechanism. The AF28-300mm F/3.5-6.3 XR Di VC is the ultimate high power zoom lens that covers everything from wide-angle to telephoto and macro. Adobe today announced at the Photo Marketing Association (PMA) show that it will expand its digital imaging product line, offering two editions of Adobe Photoshop CS3. In addition to the highly anticipated Photoshop CS3 software for designers and professional photographers, Adobe will also deliver Photoshop CS3 Extended, a completely new edition of Photoshop which allows cross-media creative professionals to stretch the limits of digital imaging.